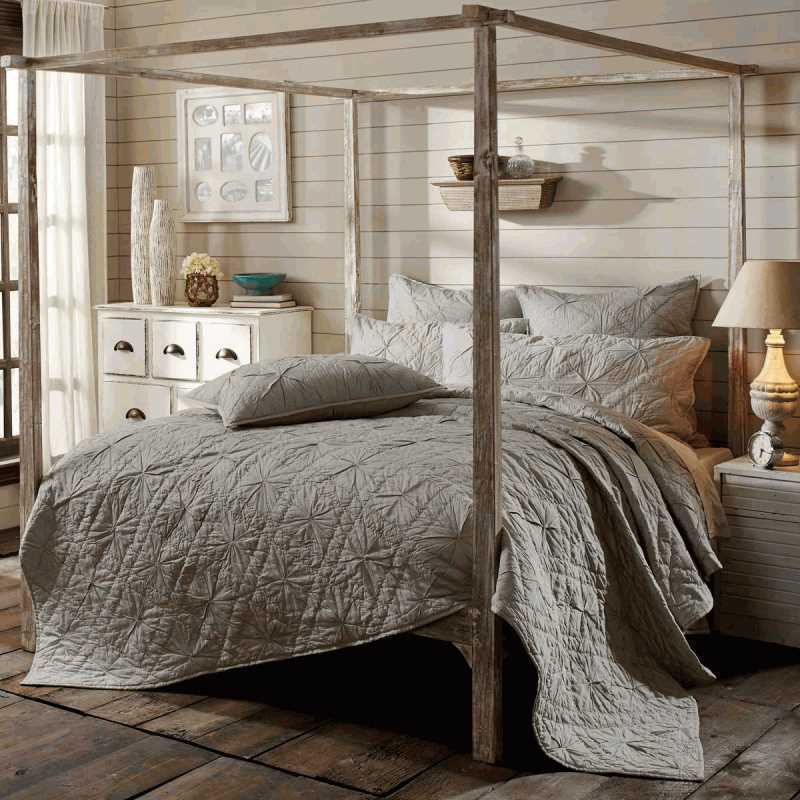 The Aubree Smoke King Quilt presented by Country Vintage Home is double diamond hand-quilted on soft smoke grey cotton satin for a luxurious hand. In the center of each diamond is a gathered effect for added visual appeal to the quilt. Reverses to solid smoke grey cotton satin. Country Vintage Home invites you to browse through the other selections in our Farmhouse Bedding collection, as well as the many other items in our store. We are sure you are going to find just the right piece or pieces to make your home a Country Vintage Home! Please Contact Us for availability and possible special pricing on bulk orders.